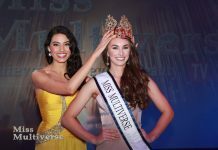 Miss Germany and Miss Earth – will it open a new era for Europe? Germany’s longest running and most prestigious beauty pageant is reportedly going to send its winner to the Miss Earth 2017 pageant and this is a good news for the fans of both pageants. For Miss Germany pageant, it gives them an opportunity to showcase the best that their country can offer in one of the five major international beauty pageants. For Miss Earth, it is a consolation after major organizations like Femina Miss India and Miss Venezuela pageant dropped their franchises. Miss Earth has dramatically improved in 2016 in terms of venue and activities. Still, it is difficult to sell it to other countries outside of the Philippines. The Top 5 trend of Miss Earth simply revolves around the Philippines, Venezuela and Brazil and the crown seems to be just tossed between Latinas and Filipinas. The overall texture of the pageant no longer echoes the diversity that we saw in early 2000s. Miss Germany is sending Soraya Kohlmann – winner of its 2017 pageant – to Miss Earth 2017. That is according to the Spiegel, the most widely read German news portal. If this will indeed materialize, it will be a morale booster for Miss Earth. It will also usher the Miss Germany pageant into a better position since its winner will compete in a Big5 pageant. The caveat however is that Germany is no longer a superpower nation like it used to be. Still, it is a positive news. With the victory of France at Miss Universe, the pageantry world seems to be focusing on European beauties. This could unveil the hidden treasures of the continent and who knows, maybe this a brand new era for Germany and the entire European nations.